The Angel White stone is a luxurious marble for a classic finish. 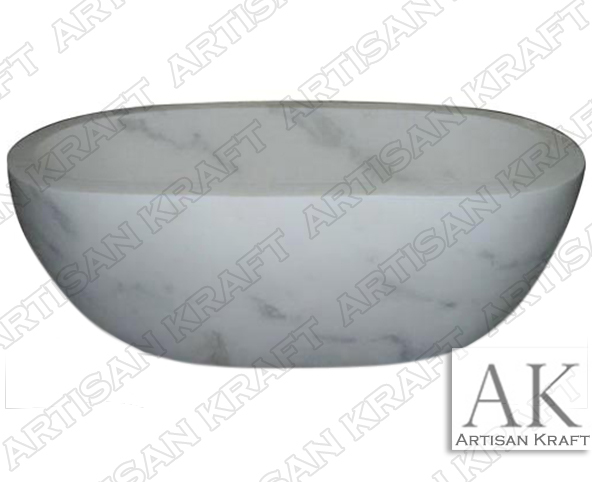 The soft characteristics and smooth finish of this freestanding tub are perfect for a custom project. Custom size the tub for two!